Ah, Paris. The city of lights. A city that has been on our ‘bucket list’ for well over a decade. I am admittedly a self-proclaimed Francophile, and definitely whole heartedly obsessed with French cuisine. Recipes filled with peak of the season produce and proteins, cream, butter, and sauces, oh my goodness, the sauces. I have a pile of French cookbooks, that have always been an inspiration to me, especially while finding my way around the kitchen. I have a few favorites that always end up on our dining table, especially during the cooler seasonal temperatures. Before marriage, and prior to adding littles to our brood, we have gawked at the idea of visiting Paris together. Although it took eight years of marriage, and the addition of two little ones, we finally booked our tickets. We decided on a nine day stay, which I feel was a great decision with little ones in tow. Accommodations wise, we rented an Airbnb in the 10th Arrondissement, right near the Canal Saint Martin. This area had a nice array of little bistros, markets, and boulangeries all within a short walking distance from our apartment. Another plus side, was having a Metro stop literally less than a three minute walk from our front door. We used the Metro daily, and the kids absolutely loved it. The process of putting their tickets in, walking through the little gates, and experiencing the rush of getting on and off the underground subway cars was such a thrill to them. Not to mention, this was definitely the most efficient way to get around the city when we wanted to venture to other Arrondissements after their little legs, (and ours) had already traveled plenty of miles for the day. I have tried to string together the words in my head, to describe how Paris has left a mark on our hearts and minds forever. If you have seen photos, or watched your fair share of movies set in this city, you can kind of get the idea of just how beautiful it all truly is. 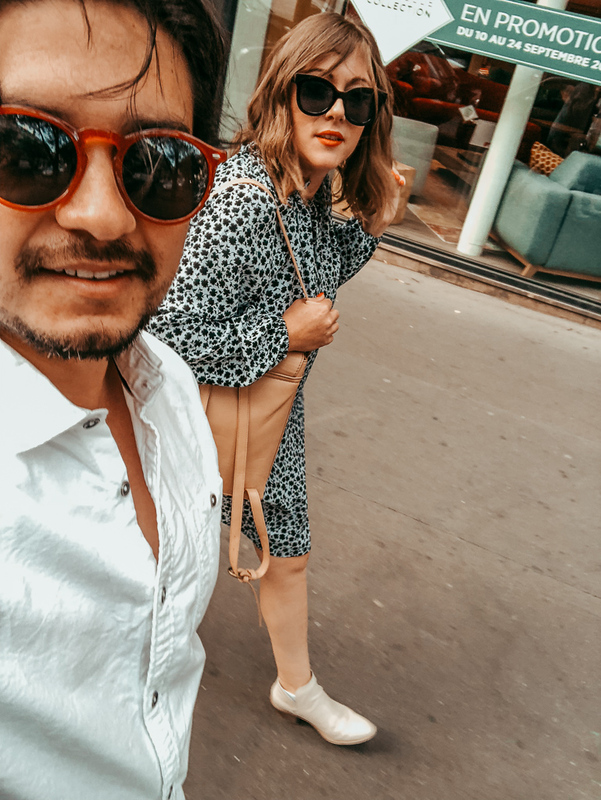 It wasn’t until I was there, in the heart of Paris, surrounded by the quaint round tables at bistros, bustling street markets, colorful corners, and architecture that makes my heart beat just a bit faster, that it all came together to truly move me. 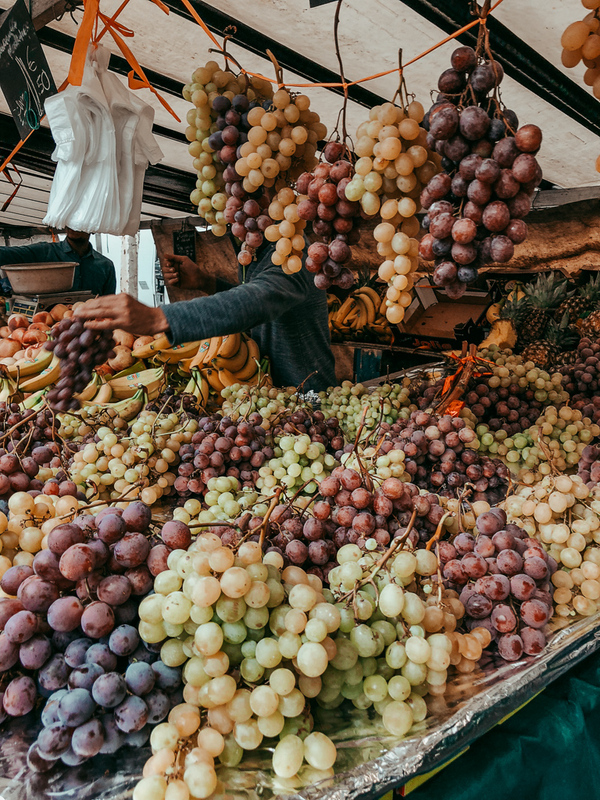 The details, I mean pungent runny cheeses, crusty baguettes being toted around in bicycle baskets and bags, the rooftops, the clouds, which are just different in Paris, the picnics set up beside the Seine river, the beiges and whites, and the tree lined boulevards. The list can go on forever. Your senses are truly in for a wild ride during your trip. The aromas. The smell of fresh croissants that billow through the air and fill your lungs. The feeling of the crisp air that swishes past you, as you navigate through the different streets. The sights. I’m not only referring to the twinkling lights on the Eiffel tower, or the magnificent Gothic architecture of Notre-Dame, every single corner has a hint of magic to it. We were all in awe by the symmetry of the architecture, the pops of color, and the greenery flowing from the countless balconies and window sills. We have compiled a list of the places we visited and loved with the little ones, as well as just us adults. We were fortunate to have family join us on this trip, which made it possible to enjoy some date nights for just the two of us. Get ready to roam, and throughly enjoy the relaxed joie de vivre of this incredible city. La Fontaine de Belleville (10th): Grab a seat at this cute blue cafe, for a coffee and petit dejeneur. Le jambon beurre (ham and butter sandwich) and soft boiled eggs with dipping toasts were a hit. Astier (11th): This quintessential French bistro serves up excellent dishes, like chicken with stuffing studded with capers, and a massive cheese plate that left us and the nearby diners nearly stunned. Perfect for a date night meal. 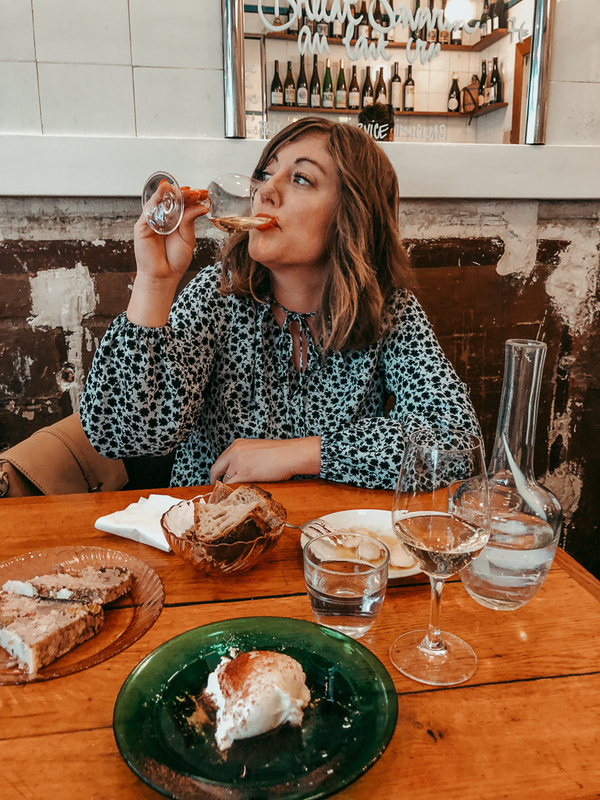 La Buvette (11th): A quaint natural wine bar, that offers little bites like large white beans with lemon zest, and olive oil, and Burrata cheese dusted with dried raspberry powder, and plenty of crusty bread on the side. If you are new to natural wines, they are there to guide, and help you find your favorite bottle. Les Deux Magots (7th) : This well known restaurant in Saint-Germain is filled with unforgettable Parisian history and charm. You need to order their house made hot chocolate. The littles loved the atmosphere and food here. Au Petit Versailles du Marais (3rd): A must for grabbing a box of pastries. The Paris Brest was hands down one of our faves. Pierre Herme : For all the macaron lovers out there. Grab a box of these colorful little gems, to enjoy as you walk around the city. We couldn’t get enough of the jasmine, milk chocolate + passion fruit, and lime, raspberry, and pepper flavored macarons. Liquiderie (10th): A little bottle shop fully stocked with a wide array of both artisanal and world wide wines, beers, and ciders. You can take your bottle to go, or grab a seat both indoor or outdoors and take in the nighttime scenes. It is located directly across the street from Astier, which makes for a wonderful after dinner stop. La Marine (10th): This was steps away from our Airbnb, and the perfect little bistro for both an afternoon drink, or dinner. Our oldest could not stop raving about the liver, and we thoroughly enjoyed their octopus and chicken dishes.